The Edison Branch (18400 Joy Rd.) 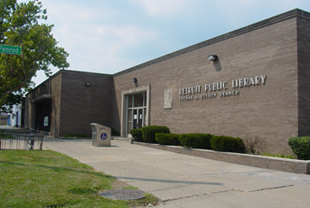 of the Detroit Public Library will host a free class on resume writing and job searching this Friday from 10:30 a.m. until noon at the library. Participants will learn to effectively use Microsoft Word and an email account effectively as well as how to use a flash drive. All of this will enable individuals to write, save, and submit resumes and cover letters. Also included in this class will be tips on conducting internet job searches and posting resumes at various sites. This class is free and open to the public. The Resume Writing and Job Searching class at our local library is your Warrendale Tip of the Week. The Edison branch of the Detroit public library is doing a great job by hoisting free resume classes. This will be helpful to those who are weak in using Microsoft word and managing email accounts.